Eighty-two percent of those polled rated nurses’ honesty and ethical standards as “very high” or “high.” Nursing came in 12 points above any other profession, a result that should come as no surprise. Nurses have topped the list for 14 of the past 15 years. “Nurses consistently get these top marks because of their empathy, professionalism, and compassion,” said NAHC President Val J. Halamandaris. “Today’s nurses deserve our profound respect,” which is why NAHC and HHNA have launched the third annual Nurse Recognition Program. Nominations are now being accepted to honor top home care and hospice nurses from across the country. One nurse will be recognized from each state and one of those 50 nurses will be chosen as Home Care & Hospice Nurse of the Year. Home care and hospice agencies that are NAHC members may submit nominees to represent their state for 2014. To be eligible, a nominee must be a registered nurse now employed by a home care or hospice agency that belongs to NAHC. “We intend for the winners to serve as role models who will inspire their peers to become leaders in enhancing the quality of health care, preserving the standards of nursing, and expanding opportunities in the profession,” said Elaine Stephens, RN, chairman of HHNA. Both NAHC and HHNA are committed to building the future of American nursing. Their ongoing recognition program will collect stories of special home care and hospice nurses who have served their agencies by providing exceptional care, reducing hospital readmissions, and changing their patients’ lives. The nurses will be highlighted in CARING and have their registration fee waived at the NAHC Annual Meeting on October 19 - 22, 2014, in Phoenix, Arizona. 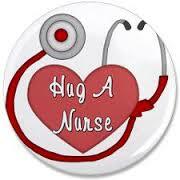 To nominate a nurse for the 2014 recognition program, visit www.hhna.org or www.nahc.org.